IRAN POLYURETHANE MANUFACTURING COMPANY (IPMQ) is the pioneer and leading producer of molded polyurethane products for the automotive industry in Iran. 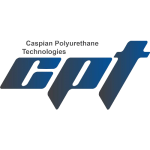 CASPIAN POLYURETHANE TECHNOLOGIES (CPT ) supplies polyurethane (raw) materials required for producing foams with said technology . Cold Cure Foam technology is being used in Iran Polyurethane Manufacturing Company and ERISH KHODRO MANUFACTURING COMPANY to produce high resilience polyurethane seat foam for car ,train , aircraft ,furniture industries. Molded Memory Foam technology is being used to produce orthopedic pillows, cushions and mattresses in Iran Polyurethane manufacturing company. For more information please check Iran Polyurethane manufacturing company website. Car Seat Assembling technology is used to produce complete (driver and front passenger and rear) car seats in PSS CO. For more information please check PSS company site . Integral foam technology including injection with high pressure machineries and Rotation machineries are being used to produce steering wheels, arm rests, interior car design, parts for Automotive Industry in ERISH KHODRO company . For more information please check ERISH KHODRO company website. CASPIAN POLYURETHANE TECHNOLOGIES (CPT) is the First Company in Iran who has the technology to produce Cold Cure Foam, Integral Foam Polyul and Memory Foam according to all required International Standards . For more information you can check Iran Polyurethane manufacturing company and CPT Company websites. Cold Cure Anti Fire Foam technology by high pressure injection machineries is being used to produce Aircraft Seat foam according to all related international licenses and KAO requirements . Cold Cure Anti fire Foam raw materials are producing in CASPIAN POLYURETHANE TECHNOLOGIES (CPT) company . Steering Wheel Magnesium Frame Magnesium Steering Wheel Frame is most popular technology to use for producing steering wheel frame for car industry which is established in MAGNESIUM GOSTAR ERISH Company. For more information check please MAGNESIUM GOSTAR ERISH company site. Iran Polyurethane manufacturing company is using Memory Foam Batch Block technology Box to produce memory foam layers which are using in mattresses. For more information you can check Iran Polyurethane manufacturing company and CPT Company websites . 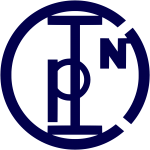 CASPIAN POLYURETHANE TECHNOLOGIES (CPT ) company supplies polyurethane raw materials for this technology . For more information please check Magniflex and Lambourghini websites. Iran Polyurethane Manufacturing Company is exclusive agent of Magniflex Company which is the Top mattress producer in Europe and also the Lambourghini Brand in Iran. For more information please check Life Style website. New Generation of Mattresses ( without spring) with German Technology and Italian cover with Life Style brand are producing in Iran Polyurethane Manufacturing Company. Different kind of products which are using for kids and newborns as well as pregnancy period are producing in Iran Polyurethane Manufacturing Company with Hooshmand brand . For more information please check www.Hooshmand-products.com website. Orthopedic Cushion made by Memory foam such as Medical Seat Cushion, Lumbar Seat Supports , Leg Spacer, Travel Neck Support are being produced by Iran Polyurethane Manufacturing Company with Hooshmand brand . For more information please check www.Hooshmand-products.com website. Different types of Pillows made by Memory Foam are being produced for prevention and body treatment by Iran Polyurethane Manufacturing Company with Hooshmand brand . For more information please check www.Hooshmand-products.com website. For more information please check ERISH KHODRO company website. Auto Interior Parts with Integral system is producing in Erish Khodro Company for Iran Automotive Industry . 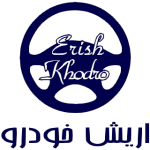 For more information please check ERISH KHODRO company website. Different types of Steering Wheel for passenger and commercial vehicles are being produced under PSA supervision to use in Iran automotive industry by ERISH KHODRO MANUFACTURING COMPANY. For more information please check sites of Iran Polyurethane , ERISH KHODRO companies. Different types of Car Seat are being produced according to PSA and Renault standards by Iran Polyurethane Manufacturing Company and ERISH KHODRO MANUFACTURING COMPANY. Car Complete Seat is being produced along with modern technology in PSS Co. For more information check please PSS company website. 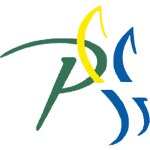 For more information you can check Iran Polyurethane manufacturing company and PSS Company websites . This technology is being used in PSS Company for producing complete seat for all kinds of trains . Iran Polyurethane manufacturing company is producing related foam by raw material which is producing in CASPIAN POLYURETHANE TECHNOLOGIES (CPT). For more information check please PSS company website. Air plane Seats Technology is being used in PSS Company which is the only producer of this product in Iran and produce according to all related international licenses and KAO requirements .